Five different services that can transform your game. This hands-on putting workshop will change your perspective on putting forever. It's the ultimate confidence booster. We believe that putting is the fastest, easiest path to improvement. When you participate in our See Putt Sink Putting Workshop you will get the insight and the training needed to trust your stroke, your aim, your equipment and your routine. Which means you could stop three putting, and start making more of those pesky five footers. A lot more! Bill Spriet, Village of Bonneybrook. Get your hands on the latest, high-tech putting trainer. We call it “Trusty” and after just five minutes, she’ll eliminate the guesswork and effortlessly guide you through a connected, down-the-line stroke — just like the tour pros. Instead of just trying to explain how to putt, GNL Golf lets you experience what a silky smooth stroke REALLY feels like, using our TPM technology. We’ll also use lasers and state-of-the-art measuring equipment to check your aim, the lie angle, loft and length of your putter to see if it’s right for you. It’s a hands-on experience like no other, all performed inside a facility designed for accelerated learning. Includes free “Perfect Impact” DVD and free face impact tape for both woods and irons. The laws of physics dictate that faster BALL SPEED is the single biggest contributor to distance. One mph of extra ball speed equals three extra yards of distance. But where does ball speed come from? 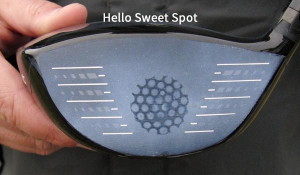 It comes from two things: clubhead speed and sweet spot impact. The average golfer’s just not going to generate 110 mph of clubhead speed. Especially no one here in The Villages. So the ONLY way to gain more distance is to hit the sweet spot consistently. That’s the only other option. We’ll show you how. In just one session we help you maximize distance with the swing and the clubs you already have. You may not need new clubs. We believe that every club in the bag should perform consistently like all the other clubs in the bag. Chances are that’s not the case. You probably have at least two clubs that you just can’t hit. So we offer Scientific Club Testing Services on shaft flex consistency, accuracy angles and 4 other critical factors. Because golf is hard enough without whacky variations in your clubs. Includes flex testing on woods and irons, dynamic accuracy angles, trajectory testing, sweet-spot testing, grip sizing, club length, Laser aim eyesight test, Lie/loft putter testing, posture and swing balance testing and lots more. 90 minutes. We’ll test all your clubs… every shaft, every grip, and every measurable data point with you standing right beside us looking at the results. Then you will swing your clubs and test the accuracy angles. You’ll instantly know if your clubs are helping or hurting your game. 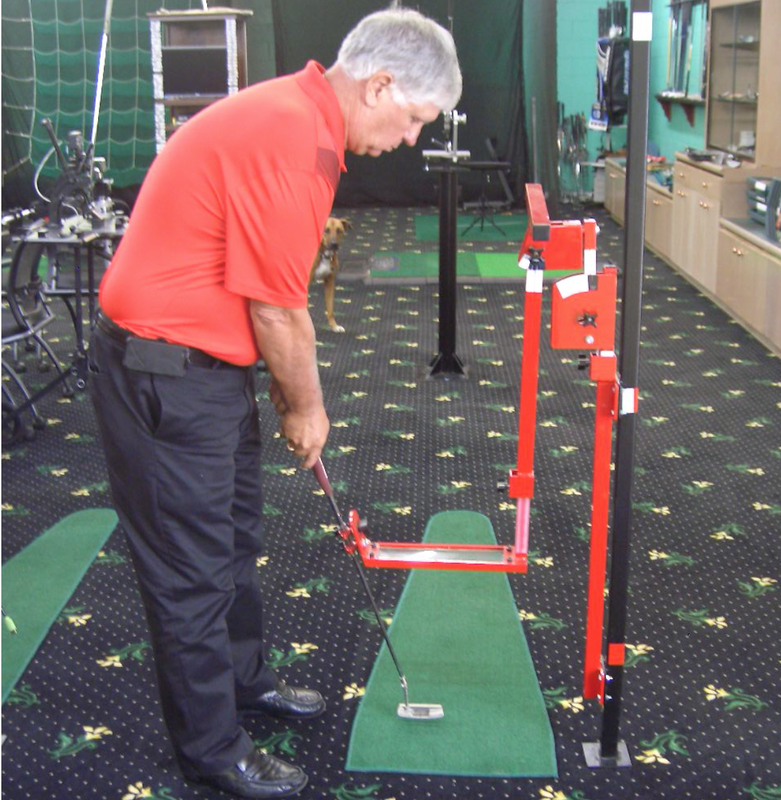 We believe a true professional club fitter should always start with the customer’s current set as a baseline. That’s the ONLY way we can ensure improvement, and that’s how our business works. If the results from our club testing show that you do need new clubs, then we can help with our own, patented line of custom-made, custom fitted irons, woods, hybrids and putters. These clubs are designed, engineered and assembled by hand, by John S. Ford. Ford is a craftsman at heart… A master clubmaker who has built golf clubs for some of the greatest names in the game, including Jack Nicklaus and Arnold Palmer. His 40 years of experience and his technical skills in the art of clubmaking are unsurpassed. Before you spend another dime on golf clubs, go see him. One thing John learned while building clubs for tour pros is that each player had his own, authentic swing. And the clubs were crafted to match. Every club will be custom made for your Authentic Swing. Plus, since no clubs come with a user’s manual, we spend two hours teaching you how to use them. Club Prices: Costs vary depending on the set make-up. Rest assured, when we write you a quote and it will be less than what you’d spend for the big name brands. We believe you shouldn’t have to spend $300 for a fancy new driver if all you need is a slight adjustment to the ball flight. So whenever possible, we’ll fix your clubs. Consistent, properly sized new grips are more important than you might think. If you’re losing grip on the club, you’ll never make good, solid contact. Shaft flex consistency in your irons: If you have just one lemon in your bag, we’ll fix it so it performs like the rest of your set. Would you like to try a new shaft in your driver? For one-fith the cost of a new driver, we can make your driver new again. Have one or two clubs that you just can’t hit? We can fix them and get you back in the game without spending a fortune for a whole new set.